Ricocheting between Vienna and Los Angeles, between the worlds of desires and dreams, Sleeping in Flame is a hypnotic literary novel with irresistible elements of fantasy and magic. 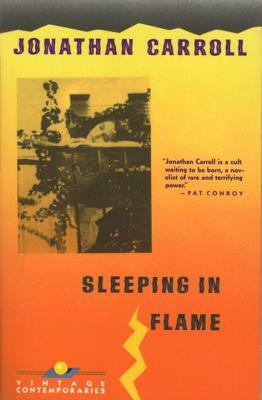 Jonathan Carroll is the author of eight previous novels, including The Land of Laughs, Outside the Dog Museum, After Silence, and From the Teeth of Angels. He lives in Vienna, Austria.